You’ve been there. Listening to the radio in your car, taking in interesting news, excited to hear what the radio host might say to the next caller, or feeling the tension of a close baseball game. And then you get home, or arrive at work. You know it will take just a couple minutes to get inside and turn on the radio, so you wait for the station break or the end of an inning to make your move. Finally, you’re inside and out of breath from running to your radio. You turn it on, tune in the station, and… huh? What happened? The reception is terrible! The signal was clean and clear in the car, but it fades in and out inside. Or it’s full of static. Or it’s just plain gone. You wonder if something is wrong with your radio, if the antenna is broken, or if the tuner isn’t precise enough. Why does this happen? Though it may seem sometimes like your car radio is better than any other radio you own, it’s not really such an exceptional receiver. The small whip antenna on your car actually combines with the car’s metal body to produce the affects of a much larger antenna. Your car radio is also specifically tuned for the coaxial feedline and whip antenna to give you the best reception for a small antenna. You can test the sensitivity of your car’s whip antenna by tuning your radio to a weak AM station and touching the whip antenna with your hand. You’ll hear a lot of static and noise coming from all the atmospheric electrical noises bombarding the radio’s sensitive amplifiers. Two of the most common problems related to poor AM reception are radio noise interference, and weak AM reception. If you are dealing with a radio noise and interference problem, you’ll probably notice that your radio gets noise on AM but not on FM. That’s because AM transmits on a very low frequency compared to FM, and AM is more susceptible to the radio-made noise from almost every electronic device within the vicinity. Car stereos are also susceptible to radio interference. The interference you hear can be caused by your car’s own electrical components. If you hear a high-pitched whining noise that changes when you step on the gas, the noise is most likely coming from the alternator, distributor or sparkplug wires. 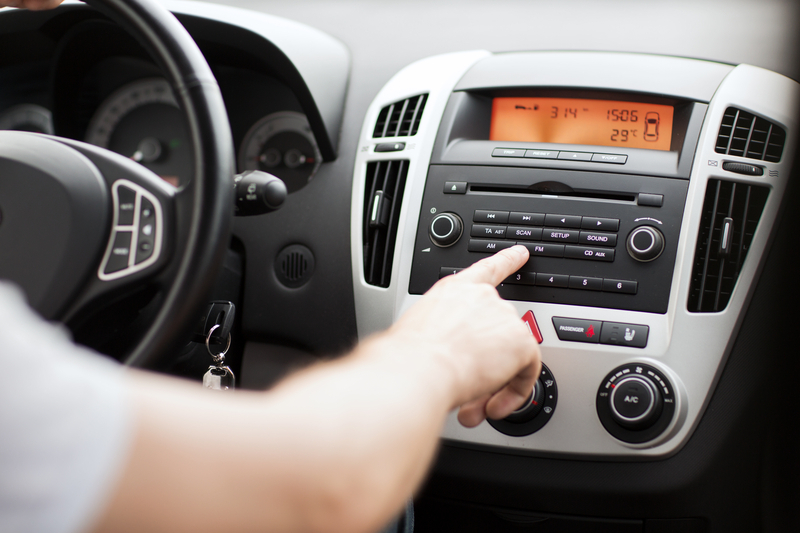 Keep in mind that audio interference problems can also be caused by your vehicle’s fuel pump. The final and least common possible source for radio interference occurs when noise generated by the on-board computer is transmitted to the hood and then retransmitted to the antenna. NOTE: In many cars with electrical noise problems just putting the key into the ignition and turning it to the “on” position, and wiggling the key without starting the car may cause AM radio noise. The other common problem related to poor reception is basically a weak signal. A station having a low powered transmitter can cause this problem. On the other hand, you may be tuned into a strong 50,000 watt powerhouse, but you are so far from the transmitter that by the time the signal reaches your receiver, the signal has lost its stamina. As a final point, if you are listening to a strong local station, but you find that you are still experiencing poor reception, the most likely culprit is simply a poor receiver or antenna. If any of these AM radio reception problems sound familiar, or if you’re not happy with the performance of your car radio, keep an eye out for our next article, where we’ve put together some ways to diagnose and fix common radio noise and weak AM reception problems discussed in this article. Be sure to check out the next article where we’ll give you the answers to the The Car Radio Reception Question.